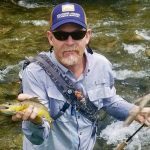 Even if you’ve been fly fishing in Montana for several years on your own, you may want to consider hiring a guide for your next trip. 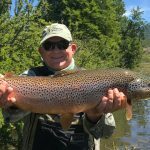 However, if you’re planning on fishing new water, or are new to fly fishing, you definitely need a fly fishing guide in Montana. It will make a world of difference. 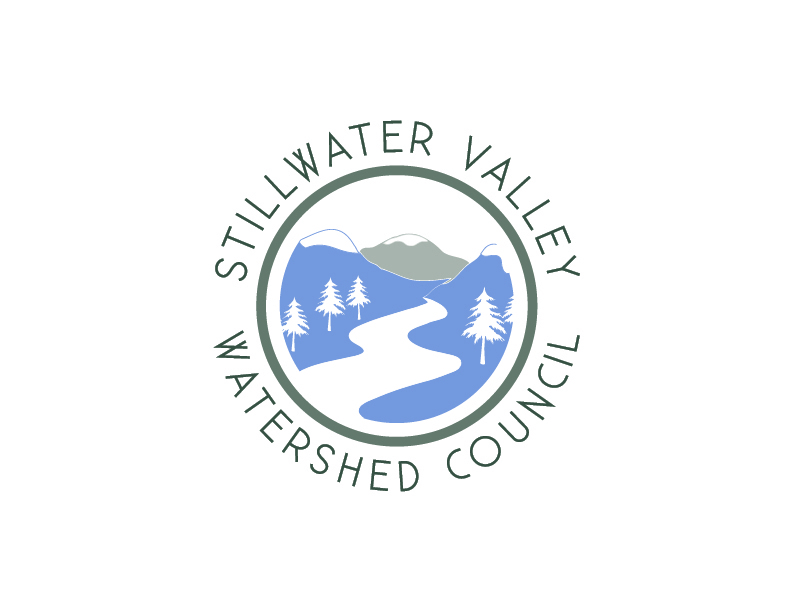 Unlike some states, all guides must be licensed in the State of Montana and must work under the direction of a licensed outfitter as well. Montana has been deemed the fish flying Mecca and for good reason: no less than 450 miles of streams and rivers have been designated blue ribbon trout waters. And that’s without mentioning the “regular” spots. If you’re new to the area, how can you choose the best spot? 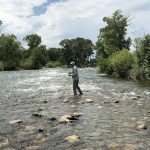 Sure, you can go online and search for reviews and tips, but bear in mind that only a seasoned local fly fisher can take into account all the weather, fauna, and flora factors that make a spot ideal at one moment or the other. Let’s say you chose a great river and you know for sure the water level is great. But where exactly? Montana rivers are long and, if you go searching for the exact spot with heaps of fish, half a day will have gone. While gorgeous, the Montana scenery can be tricky. Its vast forest and intricate roads can put even the coolest of GPSs to shame. If you’re keen on finding the ideal fly fishing spot on your own, you will most likely lose at least half a day getting there. So, you found the perfect river and the perfect spot all on your own. It’s brimming with fish and you couldn’t be happier. But after two hours, you found that they aren’t taking your fly. How can you fix that? With the right fly of course! A seasoned fly fishing guide in Montana knows exactly what flies to use in a specific season or at a specific time of day. A fly fishing guide in Montana knows local rivers like his own backyard. Thus, there’s no chance of taking the wrong channel on the river or getting into trouble with a strong current or obstacle. Plus, all licensed guides are first aid certified, so, whatever happens, your guide is your safest bet at getting home in one piece. Even if you’re a local, but a rookie fly fisherman, a guide is still the best idea. You can ask him anything you want, from tips about gear to how to reel in big captures and how to find the hottest spots. There’s literally no faster way to learn how to fly fish than to spend at least one day on the river with an experienced guide. 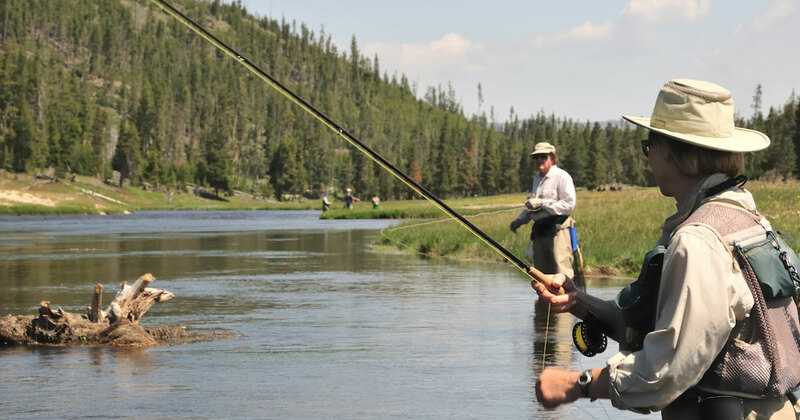 If you opt for a guided fly fishing trip, you will have time to relax and focus on what truly matters: perfecting your technique and taking in the amazing sights. No more planning, worrying and feeling overwhelmed. A guided fly fishing trip is ideal for anyone who wants their vacation to be truly relaxing. Hiring a guide alleviates all of the guesswork involved in planning a trip. It allows you to do one thing, and that is to focus on enjoying your fishing experience. Yes, hiring a fly fishing guide in Montana will up the costs of your holiday, but not as much as you think. Plus, there’s no beating experience when it comes to making your way around Montana’s prime fishing spots. Don’t think about this as an expense; consider it an investment in your fly fishing skills and relaxation. 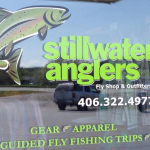 Also, guides, outfitters and fly shops will have gear available for you to use for the day, from rods and reels to boots and waders. Check ahead of time if this is furnished as part of your trip cost or must be rented extra, but many guides and outfitters provide gear for use at no additional cost. 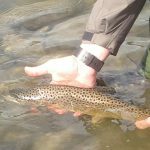 If we’ve convinced you and you’re ready to hire your fly fishing guide in Montana, make sure you don’t rush into this decision. In order to truly make the most of this experience, verify that the guide is licensed, has the proper experience and, if possible, check his reviews or ask for references.